Find places to stay in Ashburn, GA and other fun things to do. View our list of attractions, activities, events, restaurants and visitor information. 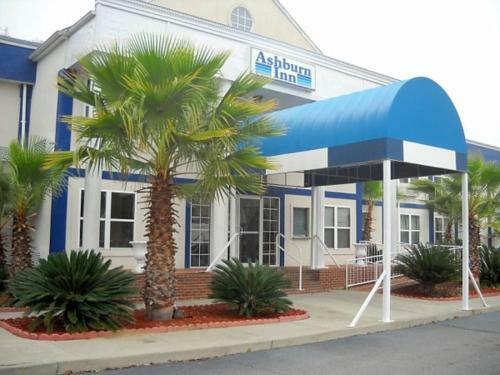 A hot tub tennis court and rooms with microwaves and refrigerators are available at the Ashburn Inn - Ashburn which is located just off I-75. The 54 rooms at this low-rise hotel all include microwaves refrigerators cable TV and sitting areas with work desks. Free Internet,Outdoor Pool, Pets Allowed, Non Smoking Rooms. An outdoor pool free breakfast and free Wi-Fi in well-appointed rooms are top features at the Best Western Ashburn Inn. The 55 rooms at this two-story hotel feature free Wi-Fi flat-panel cable TVs with HBO and ESPN refrigerators microwaves and coffeemakers. Free Internet, Swimming Pool,Outdoor Pool, Free Breakfast, Pets Allowed, Non Smoking Rooms. Free breakfast and and an I-75 location make a money-saving and convenient combo at the Days Inn Ashburn. The two-story Days Inn furnishes 55 rooms with microwaves mini-fridges coffeemakers and flat-panel HDTVs. Non-smoking rooms are available. Free Internet, Free Breakfast, Pets Allowed. Free Wi-Fi microwaves and refrigerators in all rooms complement the free breakfast and convenient interstate access at the Super 8 Motel Ashburn. Free Internet,Outdoor Pool, Free Breakfast, Pets Allowed.